These high quality industrial compressed air powered wet/dry materials handling and cleaning systems are manufactured by a BS EN ISO 9001 Company, in England, and they can be specified as an ATEX approved Variant. They can be finished in your own Corporate Livery, complete with Company Logo’s if required. 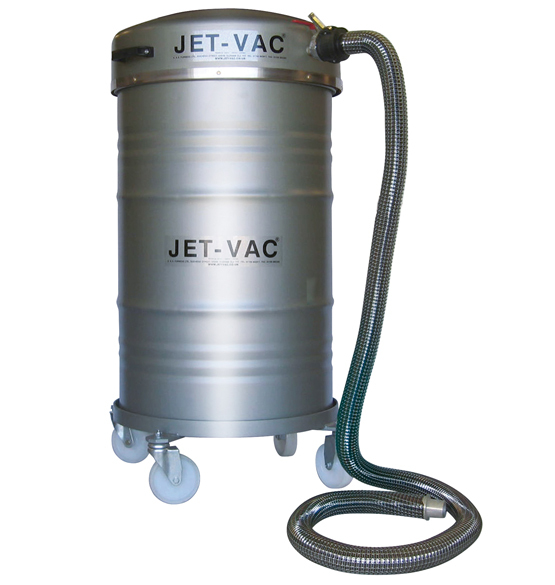 The Jet-Vac® Product Range operate on the Venturi principle creating a vacuum inside a container by means of compressed air. 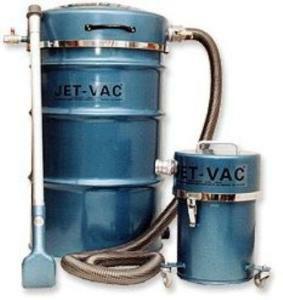 Please download the MKH Business – Jet-Vac Product Range – e-brochure PDF File for further details. They are SAFE and can be used static and the ATEX approved version can be used in hazardous areas. Custom Build Models also available, on request. Variety of Sizes – Receptacles available from – 10 litre drum / 200 litre drum/hoppers & bowsers. Can be supplied on castors. Suction & discharge systems that are ideal for a multitide of Maintenance and cleaning applications and can be specified as the ATEX approved variant for Hazardous applications including Fuel Tank purging.